The glory of it all! 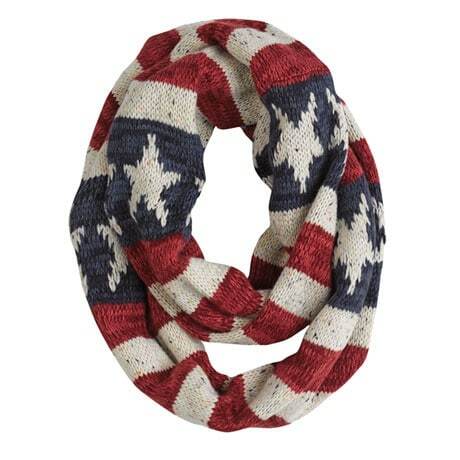 Soft, slouchy knit boots and matching infinity scarf have homespun Americana touches. Indoor/outdoor boots have 13"H, 100% acrylic knit uppers with polyester fleece lining; foam padding with faux suede sidewalls and comfort insoles. S(5-6), M(6½-7½), L(8-9), XL(9½-10½). 100% acrylic knit scarf is 8" x 32". Both machine washable.